Playing A Little Sniper Elite 3! My friends know that I am not really in to sniping in games very much. It makes me angry when I line up that perfect shot, and then all of the sudden the guy’s head moves. However, when I got my new video card it came with Sniper Elite 3 by Rebellion Developments for free, so I had to give it a spin. 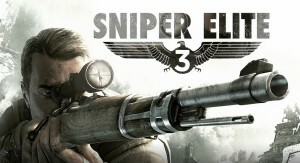 You play as Karl Fairburne sniping his way through Northern Africa during World War 2. There is a little more to the story then that, but it is told in such a disjointed way that it hard to care, so it pretty much boils down to that there are people to kill, and they sure aren’t going to kill themselves. Well maybe some of them will. The AI is a little daft at times. When I first got in to this game, I thought I was only going to be lining up my shots and taking guys out, but it turns out that this game is more like the Hitman franchise. You have to enter an open area without being seen, and then complete objectives like kill the General, or destroy some vans. Which generally involves strangling a lot of guys from behind, hiding their bodies, and planting explosives. Oh yeah, you will probably snipe some dudes too. If you want. It generally isn’t required. The sniping has a few fun features, for one if you hit the hold breath button time slows down, and your gun stops moving around, so it is easier to hit your target. They have also added a “sound” feature. Shooting a high powered sniper rifle attracts attention, especially when people start dying, so to mask the sound you can sabotage generators and stuff to make a lot of “normal” noise, and then you can go about killing whomever you wish. The feature that has been gaining a lot of attention is the “Kill Cam”. It is just as crazy as you have heard. You watch a slow motion bullet leave your gun and travel to your target, and then you watch as it slowly makes its way through your victims body with X-Ray vision. It kind of does it at random, but it is a really cool effect that makes you feel like you are a super soldier. The graphics in the game are hit and miss. Some things like the main character models look great, and there are some really good textures, but sometimes things don’t line up right, or objects have an odd look or are in a weird spot. 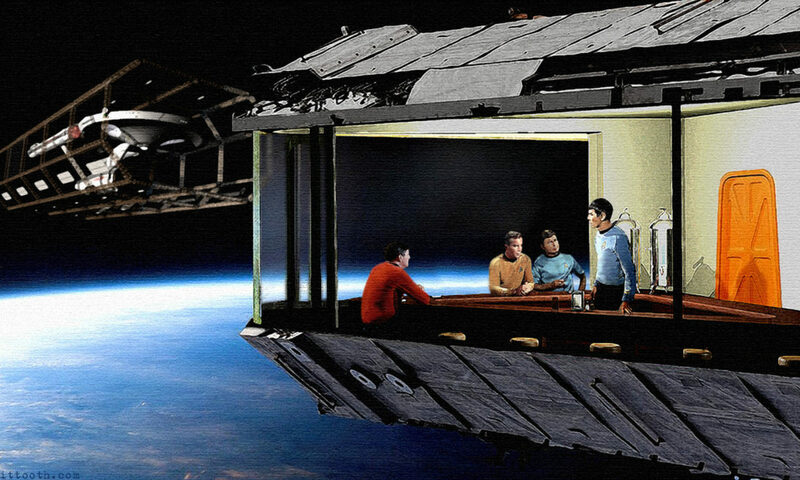 The graphics just have that “good enough” feel. They are not great, but they are not distractingly bad. The whole game has that “good enough” feel. The AI is spotty but serviceable, there is a story of some sort, as I said the graphics are ok, and the gameplay mechanics mostly work. The game has the feel of those old summer budget titles from the 90s. They weren’t great, but they were good enough to get you through summer and in to the AAA games of fall. 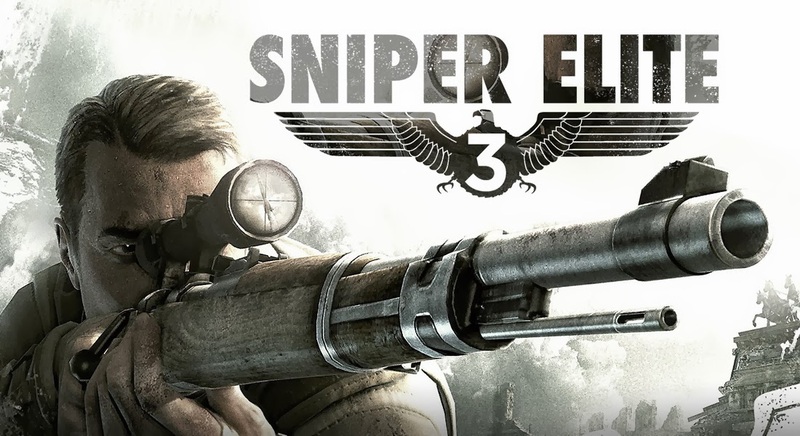 Sniper Elite 3 is a fun, but mostly just OK game that is a perfect cheap pickup. I don’t know that I would pay full price for it, but if you found it for twenty bucks, I would say go for it. It will at least tide you over until the next Hitman game comes out. I’m playing this now and love it but how do I sabotage a generator? How do I sabotage a generator? You pretty much just find a generator and then interact with it using the action button. Previous PostPrevious Geoff Johns Broke My Heart! Next PostNext Destiny Beta Quick Thoughts!